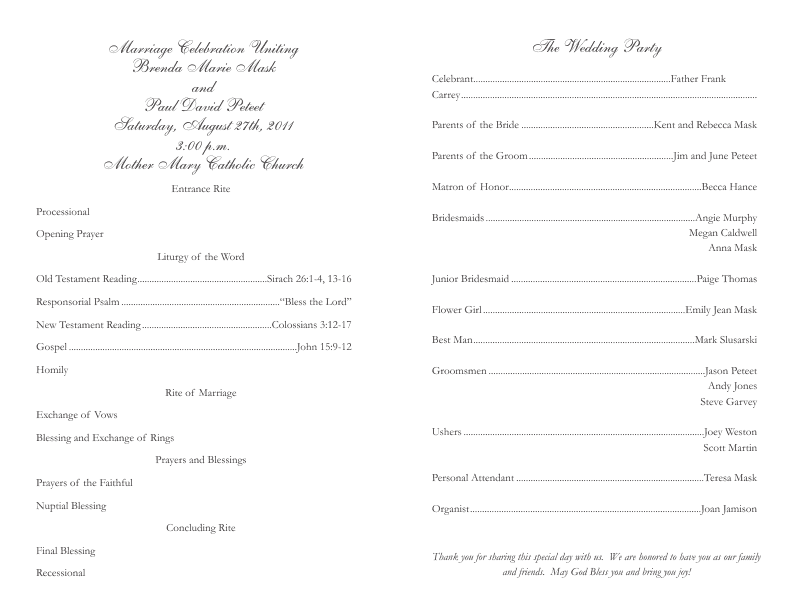 Catholic Wedding Programs are designed for printing on pre-printed wedding program cover paper on standard 8 1/2" 11" letter size stock. 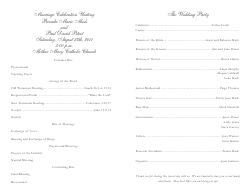 These programs can be printed on both sides of the sheet and have a finished folded size of 5 1/2" x 8 1/2". 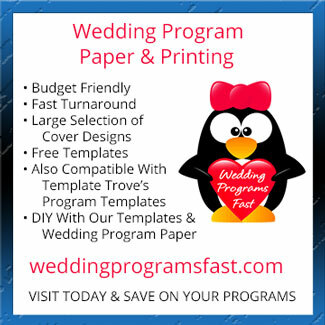 Available in Corel Draw, InDesign, Publisher and Word formats. 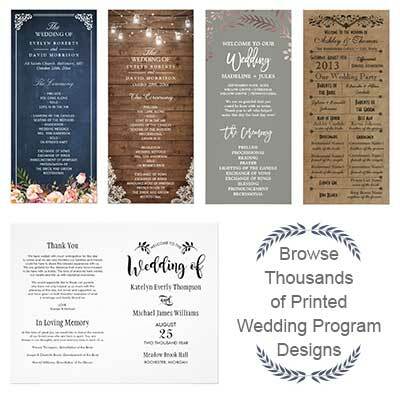 You can easily customize these templates with you favorite fonts and wedding colors. Click thumbnails for enlarged views of programs.